He dislikes the roundness of his facial lower thirds. 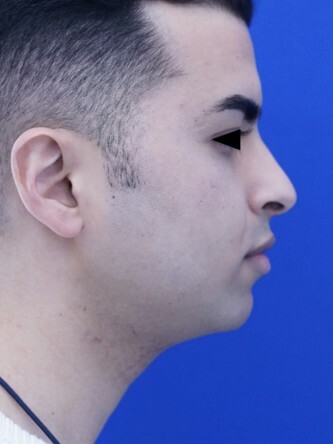 Vertical lengthening chin implant contours his chin to demonstrate masculine facial skeletal proportion. Post-op he couldn't be any more appreciative.